This is hopefully a solution to a problem that has driven me mad for years. When attaching PDF documents you often see errors from patent online filing software. For PCT applications a usual one is that a set of PDF Figures are not ‘Annex F compliant’ or the page numbers are not calculated properly. One way around this is to use the Amyuni PDF printer driver that is supplied with the European Patent Office online filing software. However, this also tends to garble a PDF document . – Choose to print the document. 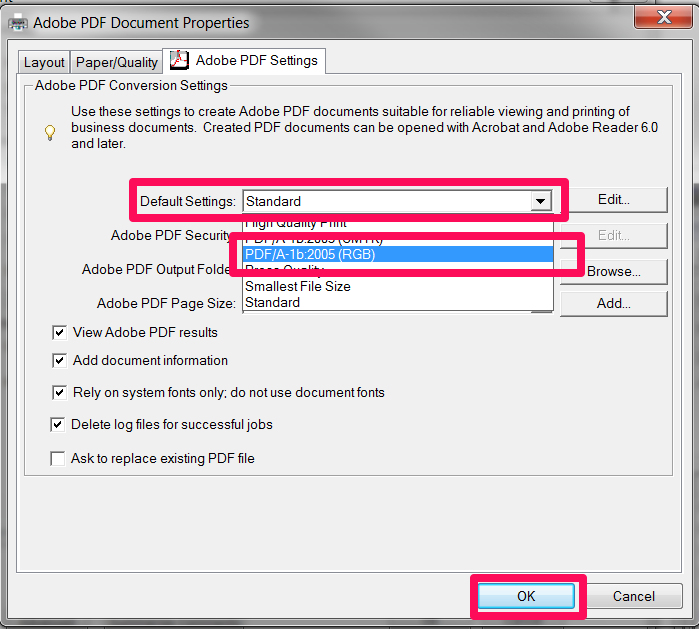 – Select an AdobePDF ‘printer’ (assuming you have an Acrobat print driver installed). – Select the ‘properties’ of this printer. – Where it says “Default Settings” change “Standard” to one of the “PDF/A” options. – Also, while you are here, click the “Paper/Quality” tab and select “Black & White”. – Click OK and print. The document should then print (better than the Amyuni driver). You should then be able to upload it without errors and it should pass the online filing validation checks. Update: My US colleagues advise that for US Patent Office compliance CutePDF is recommend – http://www.cutepdf.com/ . 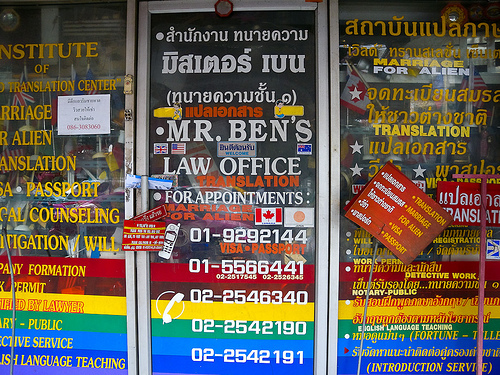 Having found myself needing to quickly understand Korean, I note that a cheap machine translation service is available ($30/23 Euros) – either through the Korean Patent Office (http://eng.kipris.or.kr/eng/main/main_eng.jsp) or the European Patent Office (EPO) (http://www.epo.org/searching/asian/translation/K2E-PAT.html). The EPO’s service looks more user friendly and would probably allow for debiting from a deposit account. May be useful for those dealing with prior art from an ex-PCT application with a Korean search. These will be exchanged between the patent offices automatically. In most cases, US, British and Japanese attorneys (and the majority of their clients) can thus let out a sigh of relief. As set out here, this adds to the exemptions available when the search reports were drawn up by the EPO (e.g. EPO search on international or national applications). Still from January it is worth checking the state in which a priority application was filed as a general procedural step. The eagle-eyed among you may have noticed some minor changes to the PCT Rules that came into force on 1 July 2010. Changes to practice appear negligible. You need to provide basis for claim amendments (Rules 46.5(iii) , 66.8(a),(c)). Penalty for non-compliance: International Preliminary Examination Authority (IPEA) may ignore your amendments when drawing up the International Preliminary Examination Report (IPER – Rule 70.2(c-bis) ). The Supplementary International Search Authority (SISA) may consider a SIS-request not to have been made if it covers claims it will/can not search (Rule 45bis.5(g),(h)). For example, EPO will not search business methods from the US. SISA may limit the number of claims they search (Rule 45bis.9(c)). The calculations used to come up with non-Swiss currency equivalents have changed. The PCT Applicant’s Guide has been updated – mostly autumn cleaning as far as I can see – use the updated versions of the Annexes at http://bit.ly/1UuxEJ. 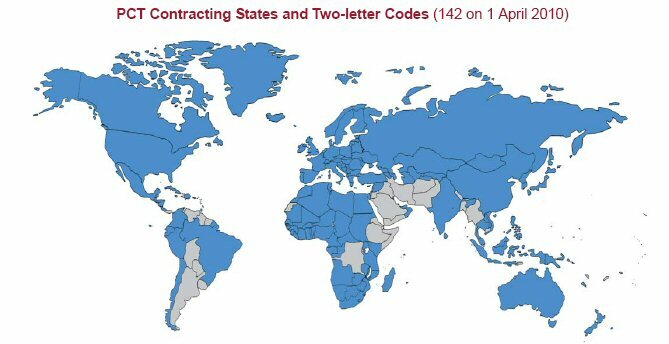 Thailand (TH) became the 142nd PCT Contracting State on 24 September 2009. 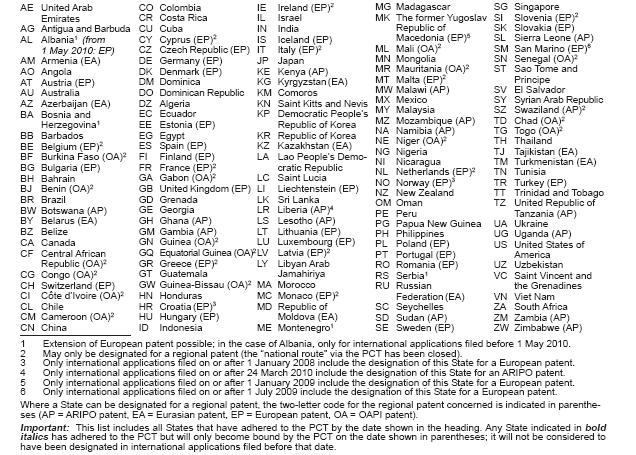 The PCT will enter into force for that State on 24 December 2009 (a Christmas gift). More details will be available in the October 2009 PCT Newsletter (to be issued shortly). Good news for my friend below!